Organisers did not take permission from the municipal corporation and the pollution department. Amritsar train tragedy LIVE Updates: Over 60 people have lost their lives and around 50 others injured after a passenger train ran over people watching Dussehra celebrations near Jhoda Phatak in Amritsar. As per television reports, people had gathered in large numbers to participate in festivities when this unfortunate incident happened. Police said that the speeding passenger train crushed the crowd when a large number of people were watching the Ravan effigy in flames while standing along the railway tracks. A PTI report said that the train was coming from Jalandhar and heading to Amritsar railway station. Sub Divisional Magistrate Amritsar, Rajesh Sharma, told PTI that 50 bodies have been found and at least 50 injured have been admitted to a nearby hospital. “There are more than 50 casualties. We are evacuating people, injured taken to the hospital,” a police official involved in rescue and relief operations told news agency ANI. Punjab Chief Minister Amarinder Singh has ordered an inquiry into the train accident and declared one-day mourning in the state on Saturday. The CM visited Amritsar in the morning to personally supervise relief operations and meet families of the victims. “The state will remain in mourning tomorrow in view of #Amritsar train mishap. All offices & educational institutions will remain closed,” the chief minister tweeted. Even as a blame game played out over the Dusshera tragedy , the police admitted they gave a no-objection certificate to the organisers but said the event where a train mowed down at least 59 revellers also needed permission from the municipal corporation. A leaked letter suggested that the organisers had also sought security arrangements at the venue where Punjab minister Navjot Sidhu and his ex-MLA wife Navjot Kaur Sidhu were expected, PTI reported. SAD president Sukhbir Singh Badal demanded compensation of Rs 1 crore per person and government jobs for the families of those killed in the tragic train accident here, PTI reported. Badal demanded immediate dismissal of Punjab minister Navjot Singh Sidhu from the cabinet beside registration of a fresh FIR against his family based on statements of the victims. He alleged that Sidhu's wife Navjot Kaur was solely answerable for the accident as she was the chief guest at the Dussehra function and responsible for holding such a big event sans security and safety measures. The Government Railway Police (GRP) on Saturday registered a case against unknown persons in connection with the Amritsar tragedy in which a train mowed down at least 59 Dussehra revellers, PTI reported. A case has been registered under sections 304 (punishment for culpable homicide not amounting to murder), 304A (causing death by negligence) and 338 (causing grievous hurt by act endangering life or personal safety of others) of the IPC, a GRP official said. Vivek Kumar, Divisional Railway Manager, Ferozpur, said the driver has been questioned but no lapse was found. He said the train was travelling at a speed of 91 km/hr but after spotting the crowd on the track, it slowed down to 68 km/hr. The Commissioner of Railway Safety (CRS) will not probe the Amritsar tragedy in which a train mowed down 59 Dussehra revellers, with the Railway Board chairman saying Saturday it was not a “railway accident” but a case of trespassing on rail tracks, news agency PTI reported. The Commission of Railway Safety works under the administrative control of the Ministry of Civil Aviation and conducts mandatory inquiry into all railway accidents - at unmanned level crossings, derailments or after a bridge collapse. Amarinder Singh asks home secy to prepare guidelines for holding religious gatherings. The directives were issued a day after at least 59 people were killed after a crowd of Dussehra revellers that had spilled onto railway tracks while watching the burning of a Ravana effigy was run over by a train near Joda Phatak. The Amritsar police on Saturday said though they had given a "no objection" certificate for the Dussehra celebration near Joda Phatak here, the organisers did not take permission from the municipal corporation and the pollution department, PTI reported. According to the permission document, the organisers were given the go-ahead following their assurance that they would follow the directions of the Punjab and Haryana High Court on usage of loud speakers. Minister of State for Railways Manoj Sinha Saturday ruled out any punitive action against the driver of the train that mowed down Dussehra revellers in Amritsar, PTI reported. He said there was no negligence on the part of the national transporter and also advised people not to organise such events near tracks. Since morning, a large number of people has been sitting on railway tracks where the accident took place due to which train services have been suspended on this line. Angry people are raising slogans against the state government, saying that it did nothing to ensure proper security arrangements for the Dusshera event. Most people who were mowed down by a speeding train in Amritsar during Dussehra celebrations Friday evening were migrant workers from Uttar Pradesh and Bihar, an official said here Saturday, PTI reported. The accident has claimed 59 lives so far out of which 39 bodies have been identified by the authorities A senior official in the district administration said most migrant workers from Uttar Pradesh and Bihar work in an industrial area at a stone's throw away from the accident site and live nearby. The divisional commissioner of Jalandhar has been entrusted with the job of holding the inquiry within four weeks. "It's a terrible tragedy we all accept it. Inquiry will find out who is at fault and who is not. I cannot prejudge an inquiry. Let them come up with the report. I have given four weeks for the inquiry to be completed," news agency IANS quoted Amarinder Singh as saying. "This is not a time for making allegations. The tragedy needs to be dealt with in a proper manner. All parties should come together at this time of grief," he added. Chief Minister Captain Amarinder Singh said compensation of Rs five lakh each for the families of the deceased had already been announced by the state government. Besides, the government would bear the cost of medical treatments of the injured admitted to different hospitals. Chief Minister Captain Amarinder Singh has arrived and he will be briefed by the crisis management team. The team will be giving him tips on how to take the next step forward in regards to rehabilitation and relief. Ashwani Lohani says, railway board was not informed. The Railway board chairman Ashwani Lohani has said that the Railway had not been informed about the Dussehra celebrations which were going to take place in Amritsar. The Railway board chairman has said that the accident took place between two Amritsar and Manawala railway stations. fter the train accident, Railways Minister Piyush Goyal has canceled engagements in the US and was on his way back to India. Over 60 people have lost their lives in the incident. MoS for Railways Manoj Sinha, Railway Board chairman Ashwani Lohani and Northern Railway general manager Vishwesh Chaube have rushed to the accident site in Amritsar. 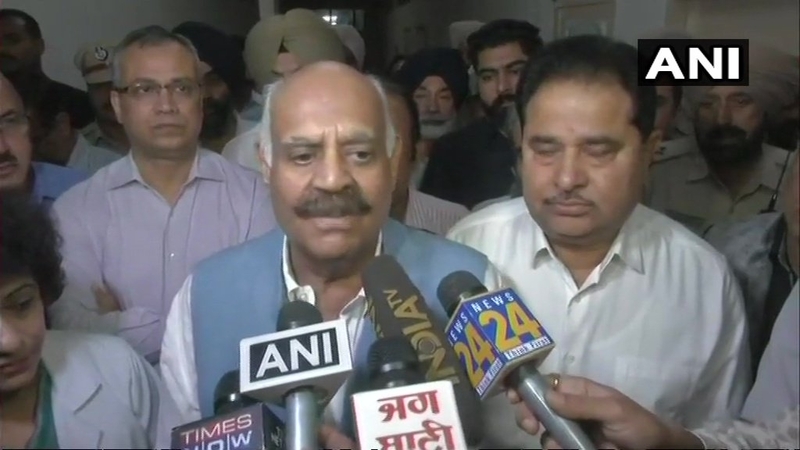 'This is very unfortunate incident.Inquiry will be done&those who need to be punished will be punished&accountability will be fixed.I'm here to ensure that proper medical aid is provided to injured', Punjab Governor VP Singh Badnore is quoted as saying by ANI. As a number of Dussehra revellers watching the burning of Ravana effigy were mowed down by a moving train, the disturbing video footage of the accident showed some people across the railway tracks filming the celebrations on their mobile phones when the tragedy took place. At least 61 people died and many injured in the accident between Manawala and Ferozpur stations near Amritsar, when the train ran through a crowd that had assembled near the tracks to watch the Dussehra event, reports PTI. "Railway administration was not informed about the Dussehra celebration near main line. People were watching Dussehra celebrations from railway tracks.Peoplepl need to be more alert,they must not trespass on railway tracks",Ashwani Lohani, Chairman Railway Board, is quoted as saying by ANI. All services between Jalandhar and Amritsar remained suspended hours after Duasehra revellers were mowed down by a train near Amritsar, railway officials said. Even as some trains are being diverted, many are stranded near Jalandhar, they said. "Train movement stopped after the accident as local people are sitting on the track," a railway official said as per PTI report. Railway administration is at work to provide all kinds of needed help. It's not the time to do politics. Priority is to give best medical aid to injured. 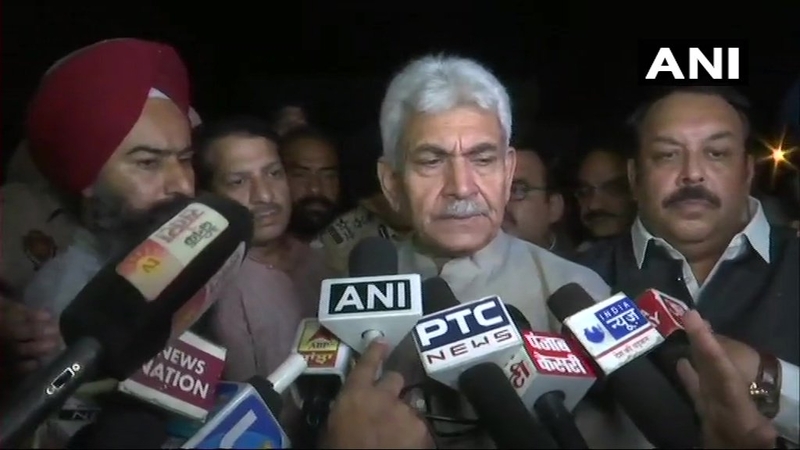 Railway administration had no information about this event: MoS Railways Manoj Sinha is quoted as saying by ANI at the site of Amritsar train accident. 13 trains shortly terminated, 5 trains short originated, 6 trains cancelled & 2 trains diverted following Amritsar train accident, CPRO Northern Railways tells ANI. There are not enough words to mourn the Amritsar train tragedy that claims so many innocent lives. My deepest condolences to the families who lost their loved ones. The incident needs to be probed as it casts serious question on administration:Union Minister Harsimrat Kaur Badal is quoted by ANI as saying. Death toll has now reached 61 after a crowd of Dussehra revellers that had spilled onto railway tracks while watching burning of Ravana effigy was run over by a train, officials said. It was coming from Jalandhar when the accident occurred at Joda Phatak near Amritsar, where ovsr 300 people had assembled to watch 'Ravana dahan' at a ground adjacent to the tracks. Sub Divisional Magistrate Rajesh Sharma said 61 peoplehave died and at least 72 injured have been admitted to Amritsar hospital. State mourning has been declared in Punjab tomorrow, and all offices and educational institutions will remain closed, in the view of Amritsar train accident that left at least 50 people dead. Prime Minister Narendra Modi has approved Rs 2 lakhs for the family of those deceased and Rs 50,000 for those injured in Amritsar train accident, reports ANI. MoS Railways Manoj Sinha said that medical teams are rushing to the spot. "I am also leaving for the site of the accident. As per initial information, people present near the railway track couldn't hear the sound of the approaching train due bursting crackers." Punjab Chief Minister Captain Amarinder Singh has ordered an inquiry into the train accident. Punjab Chief Minister Captain Amarinder Singh has ordered an inquiry into the train accident in #Amritsar which has claimed 50 lives and has left 30-35 people injured. Public Relations department of the Punjab Government has asked people to donate blood to help the victims of the tragedy. The government has asked people to donate blood at the Civil Hospital and Guru Nanak Hospital in Amritsar. An eyewitness said that the crowd could not hear the hooting of the train due to the exploding crackers, adding that there were reportedly around 700 people present along the railway tracks. Another eyewitness said that as the effigy of Ravan was lit and the fireworks went off, the crowd started retreating towards the railway tracks. Suddenly, two trains arrived from the opposite direction at the same time and crushed the crowd. Minister of State for Railways Manoj Sinha is rushing to the site of the accident in Amritsar. According to television reports, he will board an IAF special plane from Delhi airport at 11 pm. Union Minister and BJP leader Arun Jaitley said: "An unfortunate tragedy has taken place place. My heart goes out to all those who have lost their lives&injured in this incident which from the initial reports appears to be a tragedy that could have been avoided."